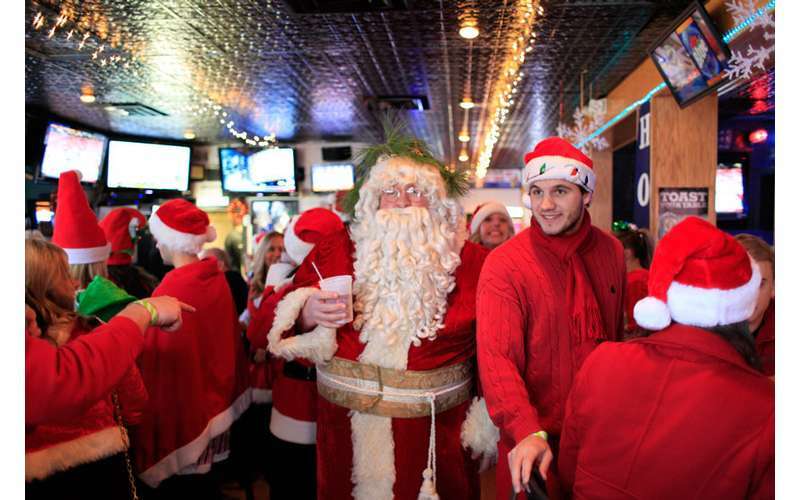 Once a year all the good little boys and girls of Saratoga Springs get dressed and full of cheer, because they know Saratoga SantaCon is here! 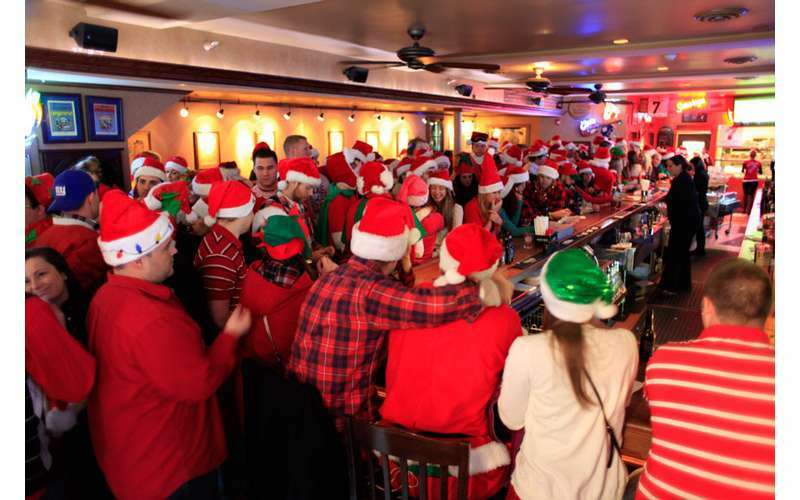 Please join us Saturday, December 15th for the Biggest Pub Crawl in the Capital District. 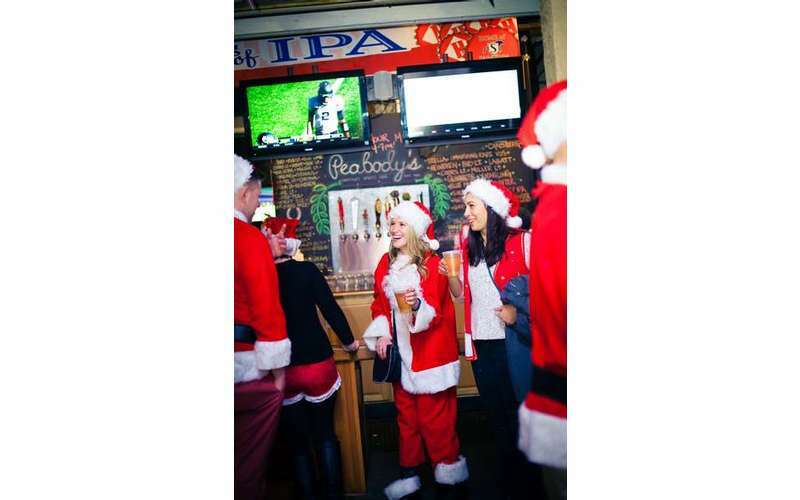 We will be dressed up in all of our festive Santa Gear for a day of Santa, shenanigans, and beer. The registration fee will be 5 or more non-perishable food items which will all go directly to the Franklin Community Center. Last year we raised over 2000 LBS of food! First 300 Santa's to register will receive a specials gift from Pabst Brewing Company. There will be drink specials at each stop provided by Absolut & Pabst Brewing Company. Special thank you to our sponsors: gotbeer.com, Country 107.7 WGNA, FMAbsolut, Pabst Brewing Company, TechEast Fire & Water Restoration, 104.5 The Team ESPN Radio, ALT 105.7 FM, and all the participating bars. Most importantly thank you to the Franklin Community Center for there work year around!